Promotional Photography for King County Library System, 2003 - 2007. 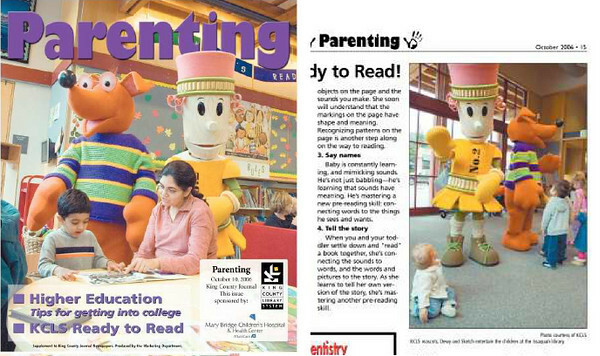 Shown: "Parenting" Magazine Cover promoting KCLS Ready to Read program. Published by King County Journal press, Fall Edition, 2006.